Measure 1-1/2 inch in length. Approximately 90 pcs per package. 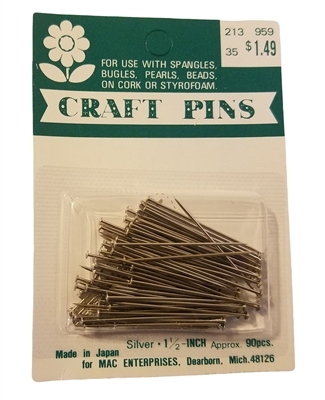 For use with ribbon, spangles, bugles, pearls, beads, on cork or Styrofoam.